The New Modern Coast Zhongtong Climbers Are Majestic. Just Standing Outside The Buses You Can Feel The Majesty Of The Units With The Artwork Composed Of High Definition(HD) Graphics and Carbon Vinyl On The Windows. That's Very Artful. 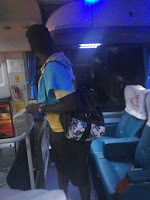 !Stepping Into The Bus Is Like Walking Into A Chilly Morning In The Aberdare Forest Of The Rift Valley. Damn! The Feeling Is Wow! The Interior Is Welcoming, The Air-Condition Is Effective and The Seats Are Comfy With Leather Upholstery. The Zhongtong Is Also Equipped With An Inbuilt Fridge/Snacks Compartment To Get The Feel Of 'Traveling In Style' Comes To Life To All Aboard The Bus. The Seats Are Well Mounted And Recline And The Passengers Walking Lane Is Equipped With A VIP Red Carpet. The Bus Also Has Six Flip Displays Ergonomically Placed Throughout The Bus To Maximize The Pleasure Of Entertainment. There Are No Clutter, Everything Is Just As It Should Be, I Could Say, This Beast Is Perfect In Every Way. 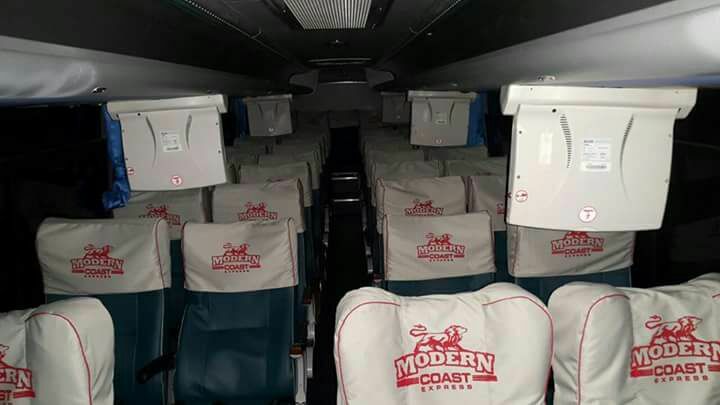 Modern Coast Express Has Undertaken A Gamble With Venturing Into The Chinese Market. Only Time Will Tell Us If Its Worth It. Lets The Battle Of The Champions Begin.! Good. 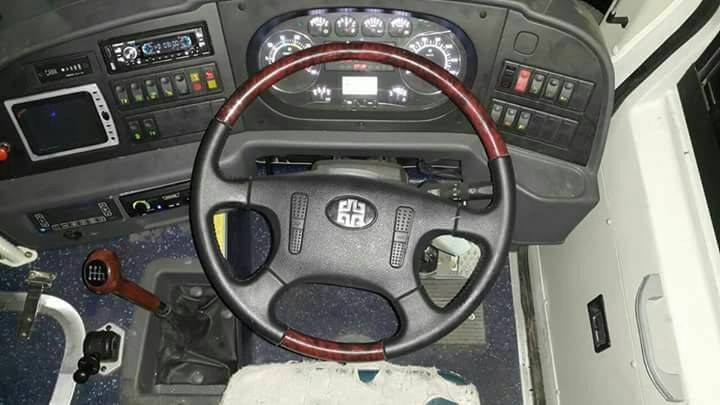 Add minute details of the comforts inside the bus to attract passengers to travel by the make of the bus. Add also bus fares in the sitting categories. I boarded an eight wheeler Zhongtong bus in TZ (Sharon Classic) for a 13 hr journey from Arusha to Iringa, it my smoothest bus ride ever. It has a powerful engine, climbs hills effortlessly, and the interior comforts are worth clicking your heels for. - TK, in Nairobi.